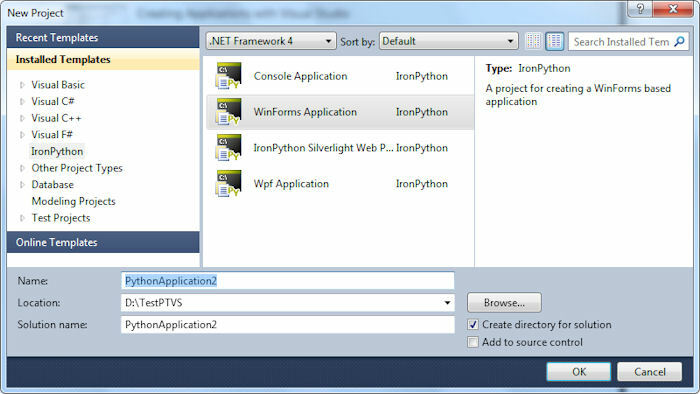 Chapter 8 of Professional IronPython demonstrates how to create a Windows Forms application using IronPython 2.6. As mentioned in my previous post about IronPython, IronPython 2.7 provides something new in the way of integration, PTVS. You’ve already discovered the means to create a console application using PTVS in my second post on this topic. 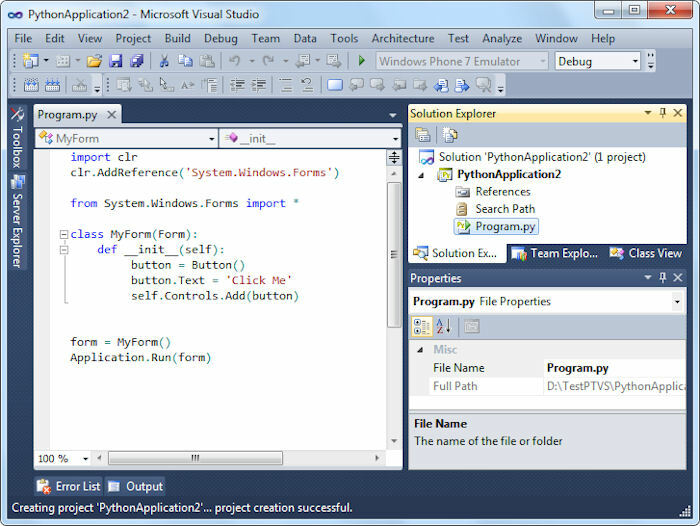 This post goes a step further and demonstrates how to create a Windows Forms application using the same approach you’d normally use with any other .NET language, such as Visual Basic .NET or C#. I assume you already have PTVS installed on your system. Now, it is disappointing that you don’t get a Designer, but the template does provide you with some helpful information and it’s better than what you started with in Chapter 8. The updated code is easier to read and requires that you perform less typing than shown in Figure 8-1. Here’s the new version of Listing 8-1. # Add a tooltip control. # Add the controls to the form. # Add the event handler linkage. # Define the event handlers. # Display a message showing we arrived. At this point, you have the same first example shown in Chapter 8. Of course, Chapter 8 contains a number of other examples that demonstrate other techniques; all of which you can easily move to the new environment provided by PTVS. Here’s the source code for the entire example: Program.py. 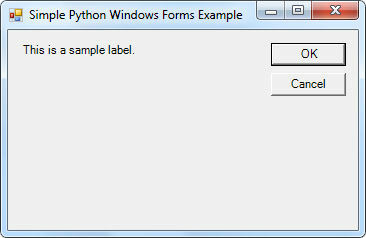 So, what do you think of the new Windows Forms project support provided by PTVS? Let me know at John@JohnMuellerBooks.com.